What are your regularly scheduled service hours? Our regularly scheduled service hours are Monday through Friday between 7am and 5pm & Saturdays and Sundays between 8am and 5pm. Our office staff is available Monday through Friday between 7am and 6pm as well as Saturday and Sundays between 8am and 5pm. Can you provide prices over the phone? Generally, no. 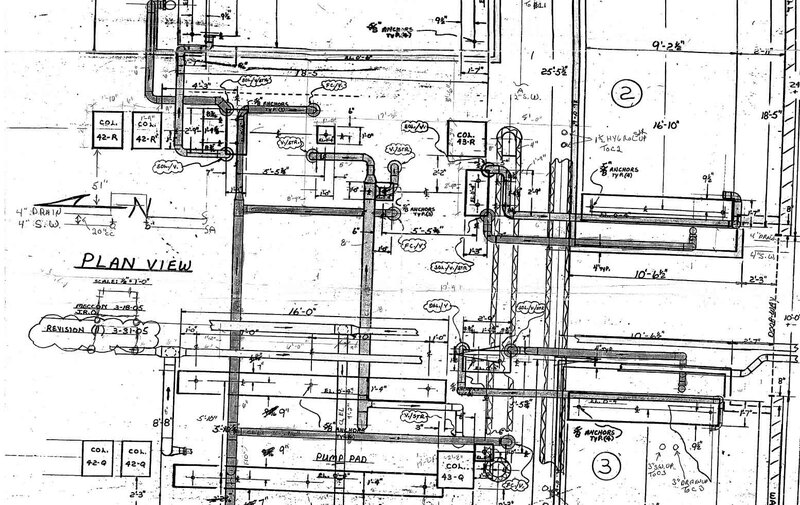 Every plumbing system is so complex and so different in scope that it makes it very hard to give quotes over the phone. Do you charge extra for service on Saturdays & Sundays? As long as it is a scheduled appointment within our regularly scheduled service hours for Saturdays and Sundays (8am to 5pm), no, we do not. Do you offer appointments outside of your regularly scheduled service hours? Yes, we do. We do whatever we can to make ourselves available on days and times that are convenient for you and that fit well with your schedule, however appointments outside of our regularly scheduled service hours, must be approved and scheduled in advance. Do you offer 24 hour emergency service? YES! But for emergencies only! An emergency constitutes as work that cannot wait for a regularly scheduled service call either because of flooding or hazard. This can be either an after hours call OR a call that requires us to adjust our schedule to meet your emergency needs. There ARE additional fees that do apply. Ask a customer service representative for more information. Why do you charge an additional fee for emergency service? We truly do understand and sympathize with our customers who are faced with emergency service needs, as we know how difficult these unexpected occurrences can be. None-the-less, our emergency service fees are set in place to cover our on-call technicians’ wages. These wages cover everything from normal daily wages to any necessary overtime wages. Do you charge by the job, rather than by the hour or by labor and materials? Our prices are hourly and reflect the estimated time, labor, and materials needed for each unique job site. Our technicians are trained to perform with the utmost speed and precision, but are guaranteed to provide the best quality work, and if that means taking a little extra time to make sure everything is done right, we don’t expect you to pay for it! Do you have an automated answering system? NO WAY! We are the only ones who answer our phones! During normal business hours, 7am to 6pm, Monday through Friday as well as Saturday and Sunday 8am to 5pm, your call will be answered by our friendly office staff who is always ready to help you. After normal business hours, your call is forwarded to our on-call staff who is ready to help you just the same! MOST DEFINITELY! Check out What Our Clients Say! Although we are still in the early growing stages, we have been honored to serve a great deal of our clients for many years. They have trusted and followed our technicians and we are proud to offer them our continued “Unmatched Quality Through Traditional Service” that all of our clients have come to expect. Do you offer any maintenance plans? YES OF COURSE! Please contact us today and we would be more than happy to help you! IF YOU HAVE ANY OTHER GENERAL QUESTIONS PLEASE FEEL FREE TO CONTACT USANY TIME! What causes my facet to drip or leak? When facets begin to drip or leak, it is usually the internal mechanics that have worn down and need to be replaced. This is actually a pretty quick and cheap fix, but the life of your faucets can be prolonged by gently turning them on and off rather than pulling them harshly. How can I prevent my pipes from leaking? The biggest key is regular maintenance and inspection. Rust and/or lime buildup on pipes is a major indication of a leak. If you notice either, contact DCP right away, and our expert technicians will take care of it in a flash. Keeping up with a quick maintenance inspection at least once a year can save you a lot of time, money and headaches in the long run. What happens if my water heater is leaking? Water heater leaks are usually a sign of deterioration. If your water heater starts to leak, make sure to turn the water off immediately and give us a call. Small leaks can turn into major (and costly) repairs if put off. More than likely, you will need a new water heater, but before we jump to any conclusions, a DCP tech can take a look and will be able to provide the most cost effective solutions that will help. Is there a problem if my toilet is running? Yes! It’s not just a problem, it’s an annoyance and it’s costing you money on your water bill every month! In fact, a running toilet can cost you an upward of $80-$100 per month extra on your water bill! If a toilet continues to run after it is flushed, this usually means that there is a problem with the internal mechanics of the toilet. Often a little jiggle of the flushing valve will solve your problem, if not, the mechanics might need to be replaced. If the problem persists, call DCP right away to analyze the issue. What is the problem when there is a loud banging noise when the faucets are turned on and off? This is normally caused by a defective washer causing sudden increased water pressure through the pipes. Sometimes it is an easy fix, other times, not so much. Either way, give us a call so we can diagnose what’s going on. Often people wait until it’s too late, when that bang becomes a leak or a break and then they have water damage through their walls. So don’t wait! How do I fix a jammed garbage disposal? Often you can insert a wrench into the bottom of the disposal and turn it a few times to free the jam, but DO NOT FORCE IT! You can easily cause serious damage to the disposal motor, your home electrical system, and even yourself! DCP can normally fix a jammed disposal, if not, it might need to be replaced, but our expert technicians would be your best bet to help save you time and money! Why is the water coming out of my faucets brown? There are actually quite a few reasons why your water may come out looking discolored. Chemicals in water lines can often create a rust problem when water sits idle in the pipes. Rust residue can clog water faucets, fixtures, and other home appliances as well. Broken underground pipes can also be another issue, as these pipes allow dirt and other pollutants to infiltrate your plumbing lines. Another reason for discoloration could be an increase of iron in your system. Whatever the reason, it is a good idea to have one of our expert technicians test your water for your family’s health and safety, and in order to determine what the problem is and offer suggestions on how to fix it. IF YOU HAVE ANY OTHER PLUMBING QUESTIONS PLEASE FEEL FREE TO CONTACT USANY TIME! Why does my drain get clogged? There are many causes of drain clogs including root intrusion in your drain pipes or outdated and broken pipes, but the most common reason for drain clogs is due to human negligence. In the kitchen, hardened grease and fat from cooking, food scraps, and small kitchen items are usually the culprit. In the bathroom, fallen hair, residue, and soap fragments are normally to blame. Toilet, bathtub and sink backups are generally caused by flushing of non-disposable items such as wipes, paper towels and feminine waste products. Just be more aware of what goes down your drains, and if a clog does appear, be careful. Although liquid drain cleaners can sometimes offer a quick fix to the problem, using them too often can cause bigger problems to your drains in the long run. To prevent any future clogs, make sure to dispose of grease and fat from cooking in the trash, fit all of your household drains with strainers or filters to catch all of those unwanted particles from going down the drain and make sure not to flush any non-disposables down the toilet. What happens when roots get in my drains? When roots get in your pipes they continue to grow and begin to clog the pipes by catching all of the debris flowing from your home to the main sewer. This causes reduced flow through the pipes which in turn causes drains to run slower, eventually causing a complete blockage. Often the roots will expand causing pressure to build on the crack or in the joint which normally results in pipe breaks and total collapses, which can sometimes require extensive repair and/or replacement. Certain pipes made of certain material, such as clay, are more prone to root invasion than others, so when building new, or replacing pipes, it is good to know what type of material is being used. Our expert technicians would be more than happy to help you with any of these issues. Hydro-jetting is when water is streamed down your drain or sewer lines at different degrees of pressure to help remove residue and buildup in your pipes caused by years of use. It is the normally the quickest, most cost-efficient, and environmentally friendly method of drain and sewer cleaning. IF YOU HAVE ANY OTHER QUESTIONS REGARDING DRAINS & SEWERS PLEASE FEEL FREE TO CONTACT US ANY TIME!